If your corn is knee-high by the Fourth of July, then it's time for an All-American celebration! 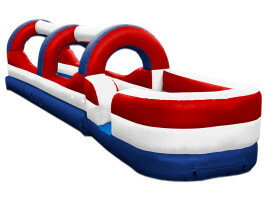 An inflatable waterslide is a perfect addition to any summer fete, and our Red/White/Blue Slip N Slide brings some extra patriotic fun. Splash and slide until the sun goes down!